This is the biggest Mazda in the company's current fleet, and perhaps their biggest vehicle ever. With three rows of seats, a 3500-lb. towing capacity and fuel mileage in the mid-20s from its 273-horsepower V6, it's smack dab in the middle of minivan territory. These types "urban utes" are attempting to bridge the gap between the SUV and the minivan by eschewing sliding doors, for example. Our tester came well-equipped with 20-inch wheels, navigation and a 10-speaker Bose audio system. The CX-9 is one of the best sport utes I have ever had the pleasure to drive. Despite the old design, it holds up well against the newest Nissan Pathfinder, Ford Flex and Kias and Hyundais. The fit and finish are fantastic, but most importantly, as Mazda claims in their advertising, it is more of a driver's cars than the others in this category. Hey, the third row can fit adult-sized humans without making them eat their knees or bash brains into the roof. 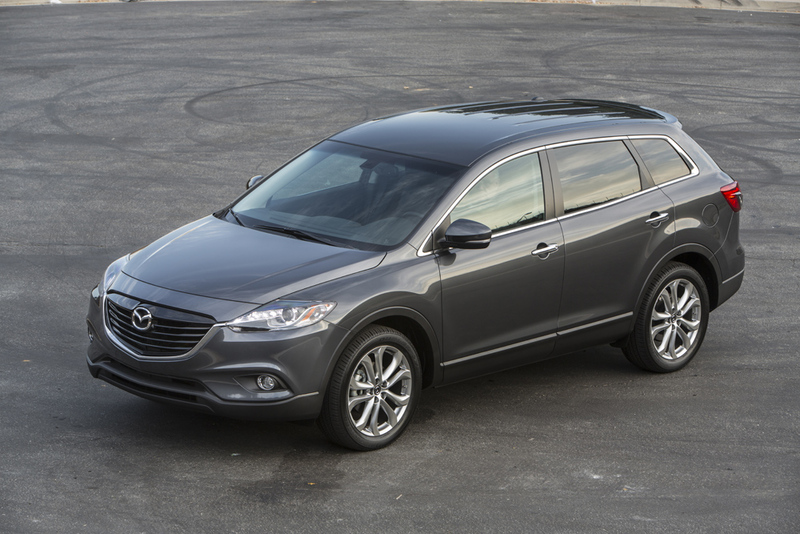 I drove the CX-9 as a backup vehicle during the Orange Blossom Tour and found that the more I drove it, the more I liked it. Comfortable, responsive, and lots of luggage space. Overall, a good utility vehicle.